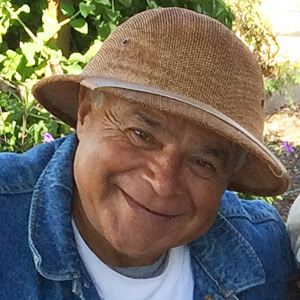 Farmer Tone (Antonio Dagher) is an active member of many Palm Beach communities. He is a UF-Certified Florida Master Gardener. He has a Bachelor of Business Administration and he is a Certified Florida Massage Therapist. Farmer Tone has established and contributed work at more than eight community gardens. He has consulted, educated and assisted over 600 home owners and garden enthusiasts. He facilities workshops and classes to individuals, groups and institutions such as schools, colleges, local governments, Churches, Public Libraries, Community Gardens, Health Food Stores and many more. From my own personal experience, I noticed that people have a wish to start a garden and it takes them years to do it. A lot of people procrastinate while the growing season passes them by. They fail to find a local professional help to learn the gardening process. They rush to buy stuff from the garden center and expect that this will be it. They think that learning the theory via cyberspace or books is enough. They miss the hands on part! They miss the actual experience right in the outdoor garden! They buy gardening books that were written to accommodate colder regions. They are confused, angry and still want to get the garden started right now! So,they go shopping for the convenient ready plants, bagged soil, fertilizers, pesticides, seeds etc…And the bill: you will be amazed!!! !Soooooooo expensive to buy it ready made! You save a lot if you do it on your own. I can help you if you decided to be a part of the process.